Moving into your next home is probably about as much fun as standing in line at the DMV, but it’s also an opportunity for moving forward, opening doors to an exciting, new life, and finding further paths to happiness. So don’t let the prospect of moving the tons of stuff you’ve accumulated up to now into a different location get you down. There’s all sorts of help available right there in your smartphone app store just waiting to assist you with any moving chore you could possibly imagine. Here are 9 must-have apps that you should be sure to install before you start your big move. Don’t leave home without them! Once you find the perfect new apartment, you may be confronted with a property-owner who’s a little slow at getting the place cleaned out and ready to occupy. There might even be leftover unwanted items from the previous tenants. Go Trashy is an app that helps you organize pictures of the leftover trash in your new apartment and gather bid estimates of how much, and how long, it will take to get rid of that trash. Or you could get the ball rolling by taking a more direct route, such as contacting a junk removal service directly, like http://www.removemyjunk.us/ and get a professional bid estimate on how much it will cost for a bulk clean out. You don’t need to search for a bunch of moving companies on different websites and fill out multiple, irritating forms. The Unpakt app does all that for you. Just enter all your information and moving details ONE time and let Unpakt do the rest. What could be simpler? 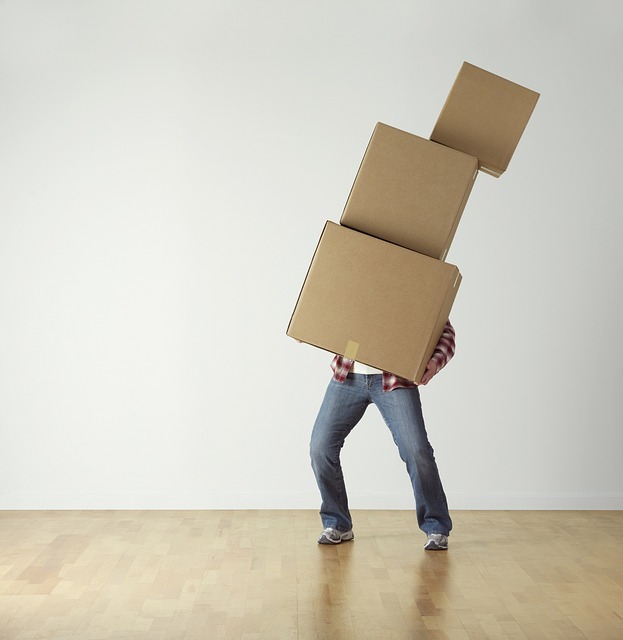 One of the biggest hassles in moving is actually getting your new apartment ready to move into. TaskRabbit has a huge database of taskers who will fix all the irritating little broken stuff, make your new home spotless and even disassemble all your furniture, and then reassemble it back together at your new place. Don’t sweat the small stuff yourself, let a tasker do it. This is an app that takes the pictures you’ve acquired of your new apartment and turns them into detailed floor plans. MagicPlan turns these floor plans and elevations into 3D images, so you can decide, before the fact, on furniture, pictures, wall hangings, cabinets and all the rest of the accoutrements that’ll make this apartment into your new, personalized home. One of your essential tasks when moving will be making lists and scheduling. How many cabinet doors need to be refinished? When are the cable and Wifi installers showing up? Where are the plumbers going to start? Wunderlist is a miraculous app that organizes all these things for you and allows you to easily share them with family and friends. Are you a good packer? Don’t worry about it and get the Sortly app instead. It takes an inventory of what you packed and where you packed it so you’ll be able to find your phone charger at your new place before your battery dies. Whew! Which housecleaners service your new neighborhood? How about a local, reliable carpet cleaner? Or an organizer and life coach who’s just down the block? What local security companies are affiliated with your new neighborhood watch group? Where’s the closest gym? Thumbtack is the app with answers for these and all the rest of your just-got-here questions. This app shows you all of the local internet service providers in your new neighborhood. It also reveals what speed these providers are capable of delivering – before you order the service. This tool also recommends how much speed you’ll need depending upon use patterns. If you have a smart TV, this will make it even smarter. How are you going to get to know your neighbors in your new neighborhood? Nextdoor has the answer. It is a private, targeted social network finder app for your specific area with all sorts of feeds – from finding babysitters, to discovering the local school fairs, to meeting your assigned neighborhood watch police officer. You can “Howdy Neighbor” your entire block with just one tap. Most of these apps are available for both iOS and Android phones and if one of them doesn’t match your particular operating system, there are equivalents that should suit your needs. So start downloading and get moving. I have never considered using apps for moving. I usually do all of my research on the computer before we move (find a moving van, find a carpet cleaner, etc) but I can see how these apps could be helpfu!